Al-Shabab attack at Mogadishu hotel ‘kills 15’ – Kenyatta University TV (KUTV). All Rights Reserved. At least 15 people have been killed and dozens wounded in a coordinated gun-and-bomb attack carried out by al-Shabab at a popular hotel in Somalia’s capital, Mogadishu, according to officials. 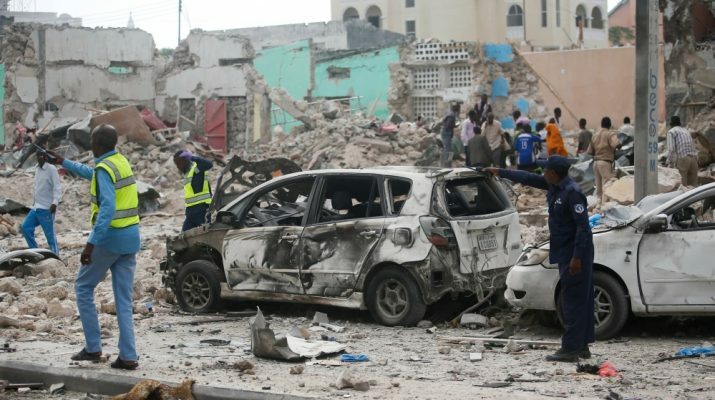 The assault on Wednesday morning began when attackers rammed an explosives-packed car into the gate of Dayah Hotel, which is near Somalia’s parliament in central Mogadishu, and then stormed inside exchanging fire with security guards. A second massive car bomb blast went off after ambulances and journalists had arrived at the scene, leaving at least four reporters wounded, according to AFP news agency. Colonel Abdiqadir Hussein, a police officer, told Reuters that security forces eventually managed to secure the building. Witnesses said the powerful explosions caused extensive damage in the area near the hotel, shattering dozens of windows and damaging parked cars.